Teams can get even more self-service capabilities out of SSO Identity Providers (i.e. Okta) by leveraging them to provision user access to WFO; adding these capabilities is as simple as defining WFO user roles for a given user. WFO roles only define the level of application permissions within WFO. 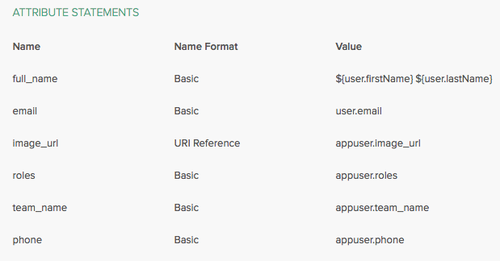 You can combine WFO roles with other Flex user roles. 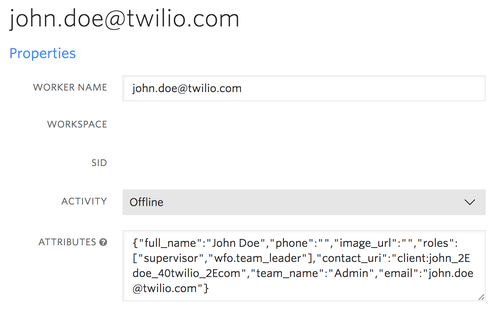 Users within the Twilio Console can access WFO without SSO configuration. The default WFO role for these users is wfo.full_access. 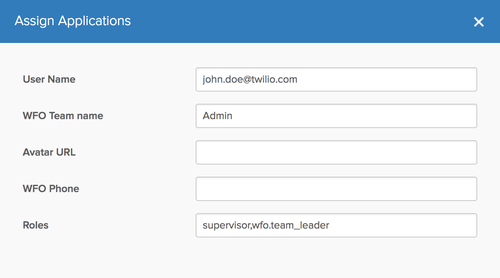 Here's an example of how a user role of wfo.team_leader can be assigned to a user with the Flex role of supervisor in Okta. 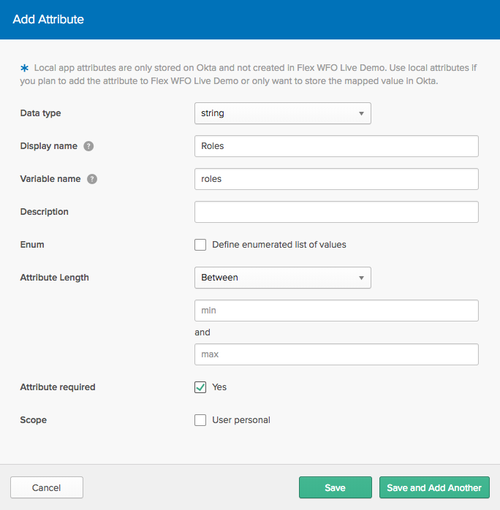 Once a user is assigned their role in Okta, they should be able to access WFO via Flex. Flex Login URL is https://flex.twilio.com/your-app-1234, where 'your-app-1234' is your Runtime Domain. Once a user has logged into Flex and accessed WFO, this will also be reflected in Worker attributes in the Twilio Console (Task Router > Workspace > Worker > Properties > Worker Attributes). Viewers can view default dashboards and reports and custom dashboards created by users with editing privileges. Viewer analytical role enables to consume existing insights without ability to create own content. * In Analytics portal only.